More and more spread sheets arrive in XLSX format? Tired of day-in-day-out browsing for a reliable XLSX PDF converter? No need to do that any more! With Total Excel Converter, you will get a unique chance to boost your own professionalism and productivity. With the help of this versatile and user friendly utility, you can work conveniently with all sorts of tables. 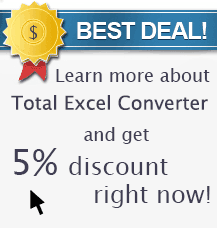 Total Excel Converter deals with XLSX, XLSM, XML, SQL, WK2, WKS, DBF, TEX, DIF, as well as OpenOffice files. 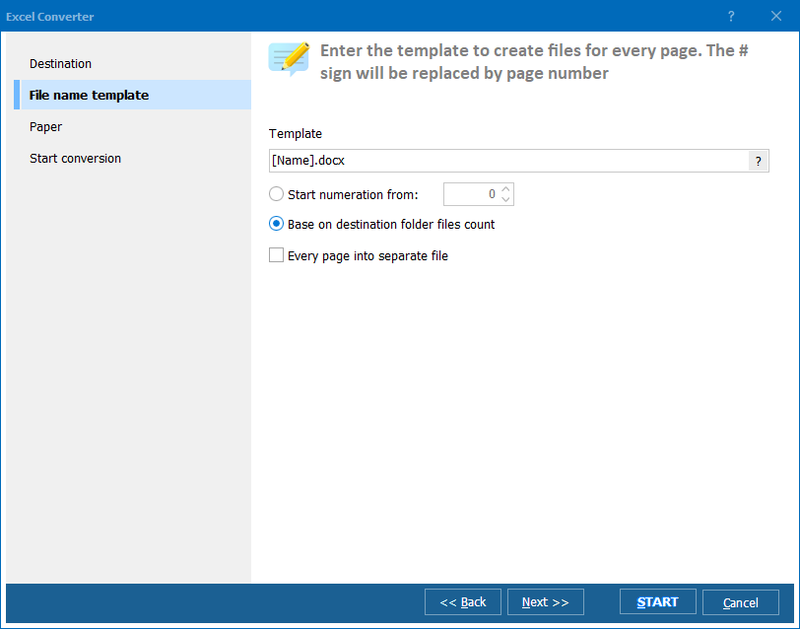 Now you can convert all possible spread sheets to PDF, either one file at a time or all of them in one go. 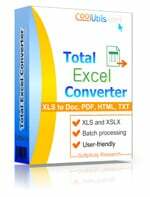 With Total Excel Converter, you can convert XLSX to PDF in batches. By aid of the batch mode you can render thousands of files in PDF as instantly as one file. There are several dedicated options to get perfect results processing XLSX files in batches. For example, the program can give output files new descriptive names, fit large tables into set page size, add pagination. Total Excel Converter integrates into Windows, and, once installed on your PC, the Convert to option appears in the right-button menu. This allows you to manage your files right from the desktop. Besides, the tool can be operated from within other programs via command line. It does not take a bulky curriculum or experience to master Total Excel Converter. To see how it works, you can download a trial version of the product and use it for 30 days, long enough to study it all the way through. Indeed, it will take you no more than 15 minutes to get the whole thing on your fingertips. Converting XLSX to PDF is a sheer breeze! The robust and transparent interface and the Wizard will do the job for you. All you have to do is select and click. 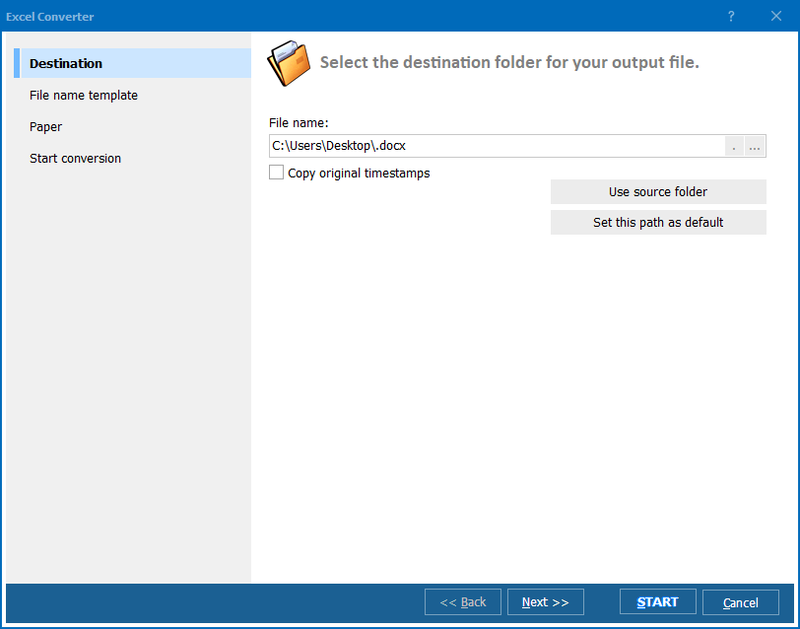 Run the converter and choose a folder with XLSX files in the Folder List. All files contained in the folder will be displayed in the file list. Check one or more files to be converted. Then click PDF in the toolbar or Convert menu. The Wizard will offer you default conversion settings, but you can make your own settings. Click Finish. To convert a file from the desktop, right-click on it and select Convert to in the popup menu. Total Excel Converter is readily available for online purchase. The registered version is worth $49.90. Buy the key right now and get all the upgrades and technical support for free! Convert files from ODS to PDF format!